The oversize strand lock is designed to work with your Lineman Lasher as a replacement to the standard strand lock on the unit. 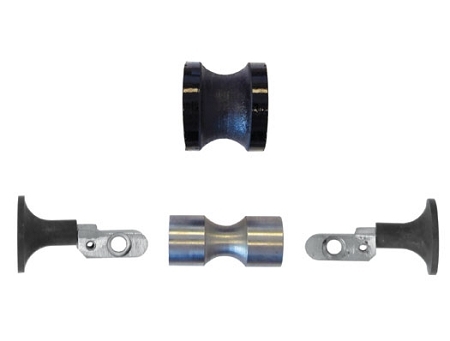 This strand lock also locks your unit to the strand and uses the same style rollers to reduce friction, but allows for a strand size up to 1” in diameter. To install, remove the bumper plate to gain access to the four bolts securing the strand lock on your machine. Remove these four bolts and install the oversize strand lock. Re-install the bumper plate.